We love Stephen Bayley; he is brilliant, sometimes rude and always funny. 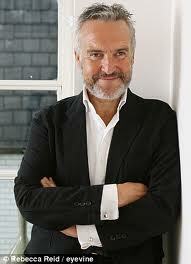 The man behind London’s Design Museum, he is also this country’s cleverest speaker on design. Tom Wolfe said “I don’t know anybody with more interesting observations about style, taste and contemporary design” than Stephen, and we agree with Tom Wolfe. Here’s more on Stephen’s next book, Ugly.